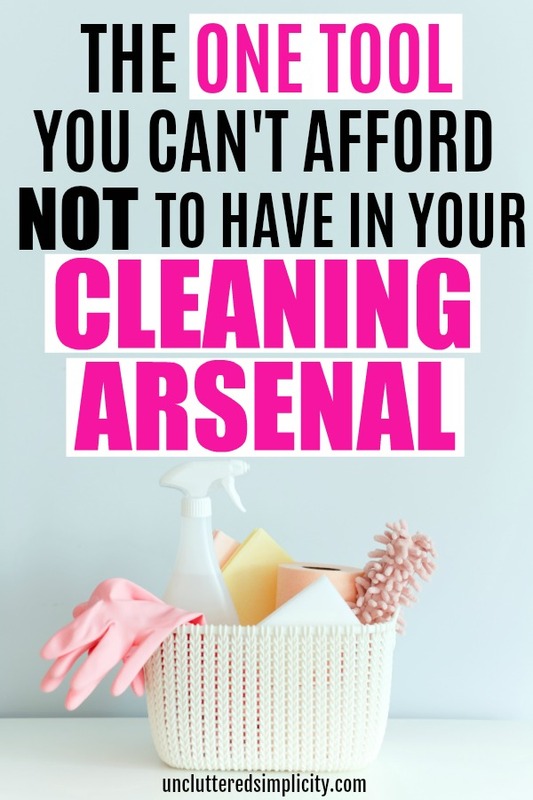 There is one humble cleaning tool my home is never without…a Mr. Clean magic eraser. 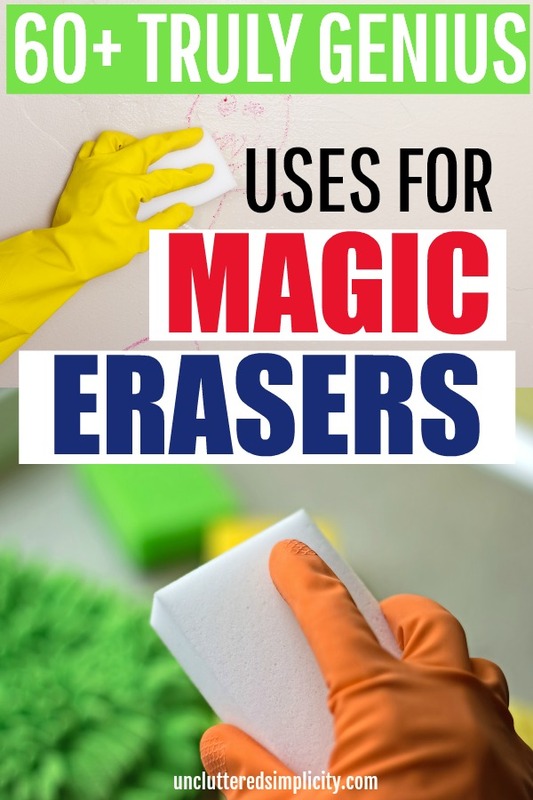 With three boys and numerous pets to clean up after, magic erasers are a game-changer when it comes to keeping my home (and yard) squeaky clean. Here are over 60 magic eraser uses for the home and yard. What’s So ‘Magic’ About a Magic Eraser? Denser than an average cleaning sponge. Abrasive, yet not scratchy like sandpaper. Zero waste because it disappears as you use it. The magic eraser is truly a magical cleaning wonder! (Cue the superhero music). Well…they’re not really magical. Magic erasers (melamine foam) have actually been in use for over twenty years. The squishy white substance has been widely used as insulation for pipes and soundproofing. Only recently, (in the last ten years or so) did some super-smart person discover melamine foam had the potential to replace virtually every cleaning product in your home. Oh, and did I mention, Mr. Clean Magic Erasers are non-toxic? Which is a really good thing to know if you have kids or pets who like to go behind you as you clean and lick/touch counters, floors, and doorknobs (ahem…my youngest son)! Seriously, I’d like to meet whoever unearthed this life-changing discovery. I’d give him/her a great big hug! BTW…have you ever tried to set a magic eraser on fire? It literally can’t be done! The only downfall to using a magic eraser for cleaning everything from toilets to teetertotters is the cost involved. If you purchase an 8-pack of Mr. Clean Magic Erasers on Amazon (with coupon) you’ll pay $5.99 for 8 sponges measuring 4.6 X 2.3 X 1 inches each. This averages out to about $.75 per sponge. On the other hand, you can also pick up a 20 pack of these generic magic erasers for just $6.95 (which are a little shorter but thicker than the Mr. Clean version). Which, according to my math brain will cost you less than $.35 per sponge. While I have yet to do an official comparison of the generic melamine foam sponge versus the Mr. Clean Magic Eraser, I’ve used both in the past with good results. The main difference between the two is that Mr. Clean Magic Erasers come in a variety of forms, e.g. textured, scrub pads. Some of them even come infused with a cleaning product. While the generic version is just a plain-Jane piece of foam. Tip: Cut a magic eraser in four pieces to get more use out of each sponge. They really will last longer! Removes Kid’s ‘Artwork’ from walls, doors, floors…etc.